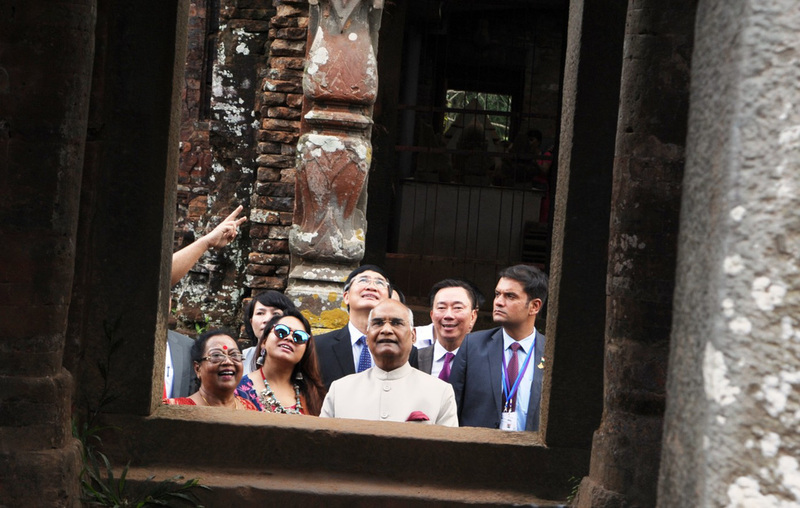 Indian President Ram Nath Kovind and the First Lady on Monday toured the My Son Sanctuary, a world cultural heritage site in the central Vietnamese province of Quang Nam, as part of his ongoing state visit to Vietnam. 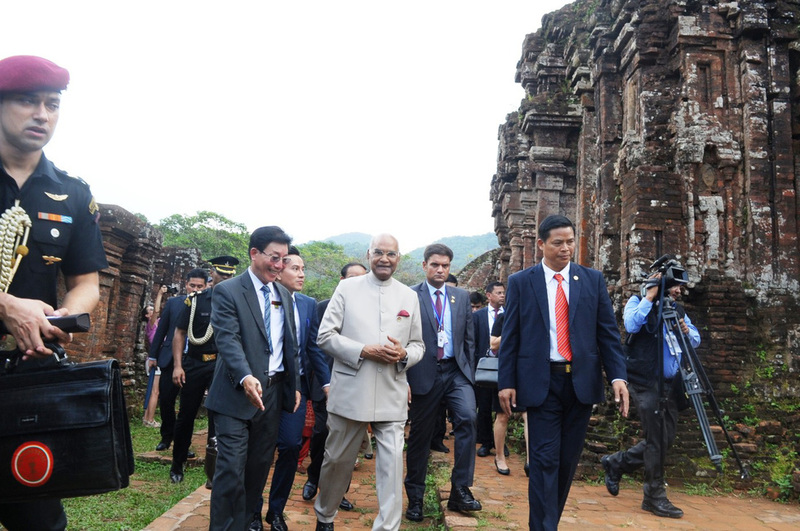 The trip was made within the framework of President Kovind’s first state visit to the Southeast Asian county, scheduled from November 18 to 20. 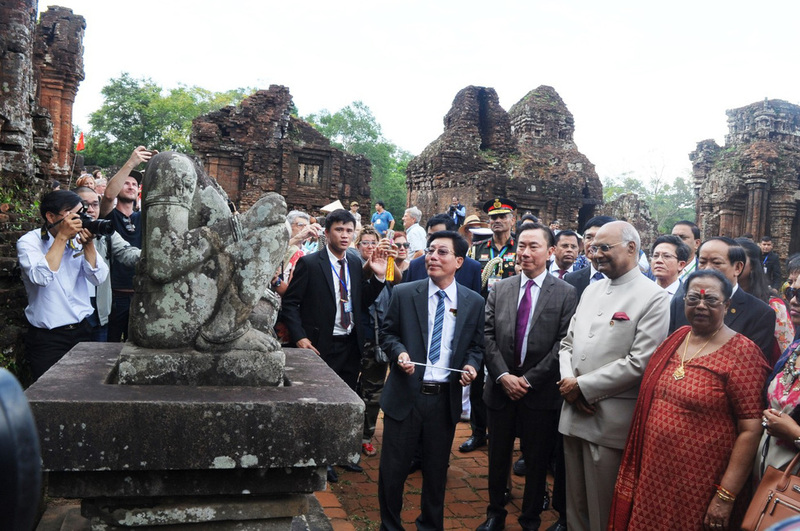 The Indian leader praised local works in protecting the sanctuary, believing that joint efforts among the two governments, Indian experts, and Quang Nam authorities will contribute significantly to the reservation and promotion of the world cultural heritage. 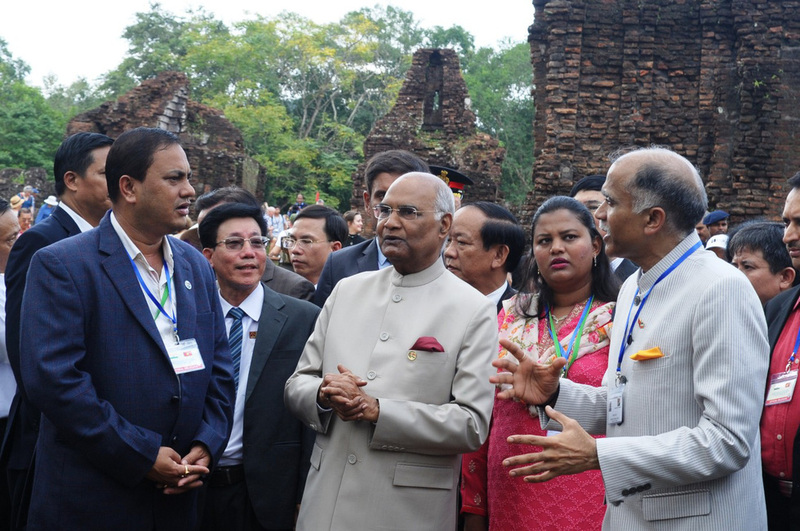 Nguyen Ngoc Quang, secretary of the Quang Nam Party Committee, thanked President Kovind and the Indian government for their sponsorship, hoping that more assistance would come regarding the conservation of the historical site. 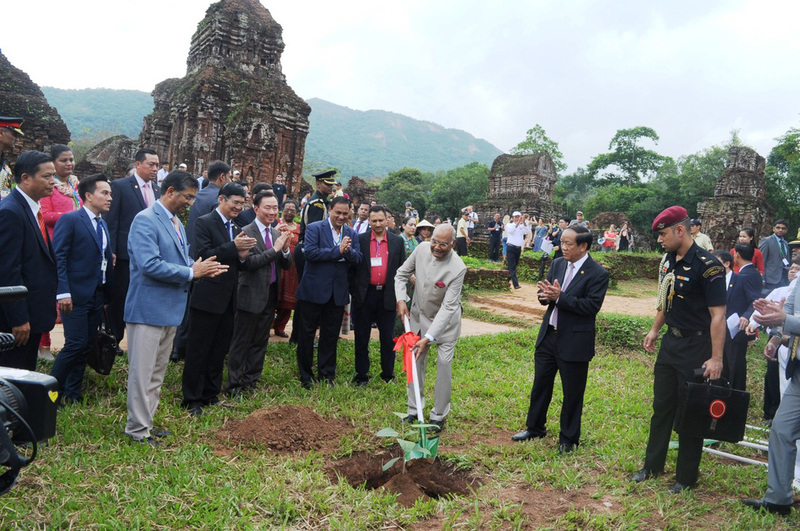 After touring the site, the visiting leader planted a bodhi tree, brought from India, near the entrance of the sanctuary. 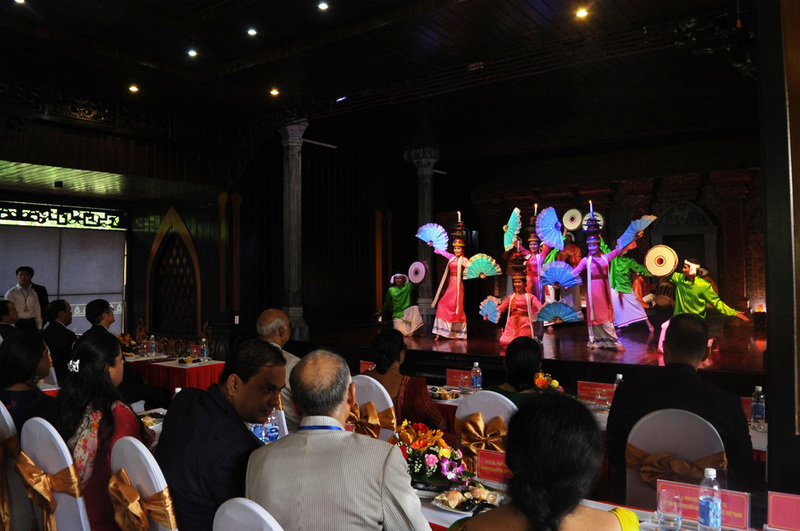 My Son Sanctuary was previously a religious and political capital of the Champa Kingdom, located on a hilly landscape in Duy Xuyen District, about 70 kilometers southwest of the central city of Da Nang and 40 kilometers from Hoi An, a coastal city in Quang Nam.  The site is comprised of eight groups of 71 monuments, built from the seventh to 13th centuries. As of 1999, My Son has been recognized by UNESCO as a world heritage site. 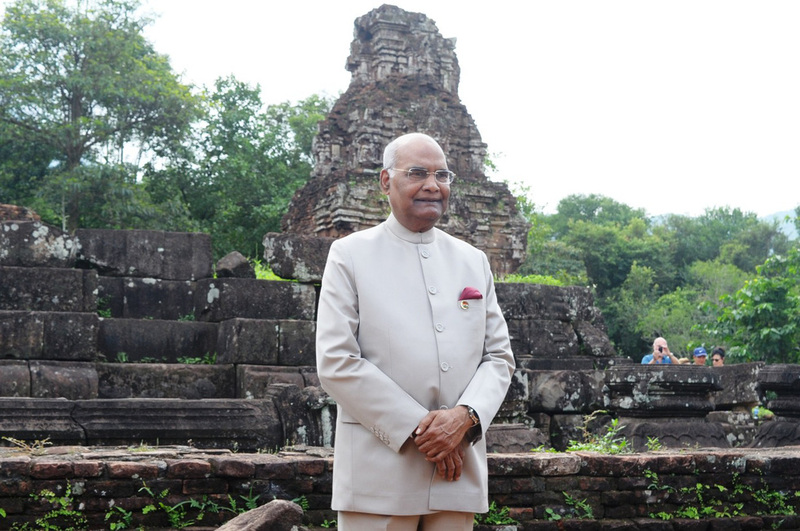 India has been aiding a project on the reservation of the cultural site under an agreement signed by the two nations’ governments. 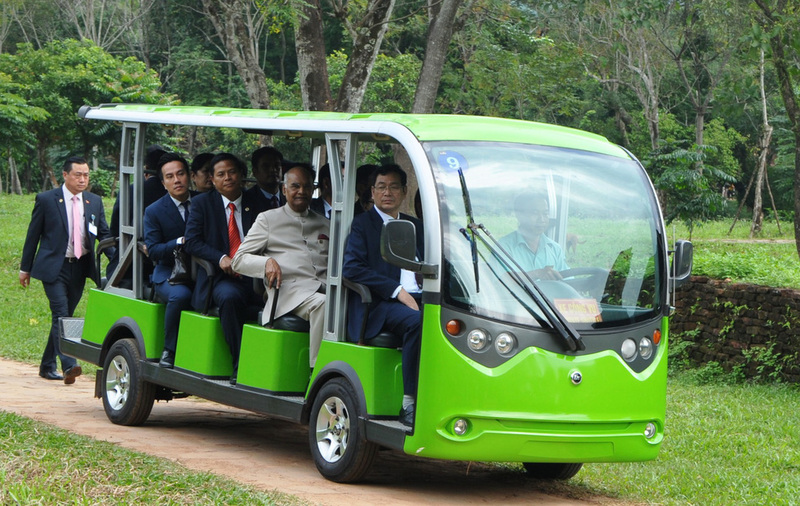 Following the tour, the Indian president left Quang Nam for Hanoi to officially commence his state visit in the Vietnamese capital. 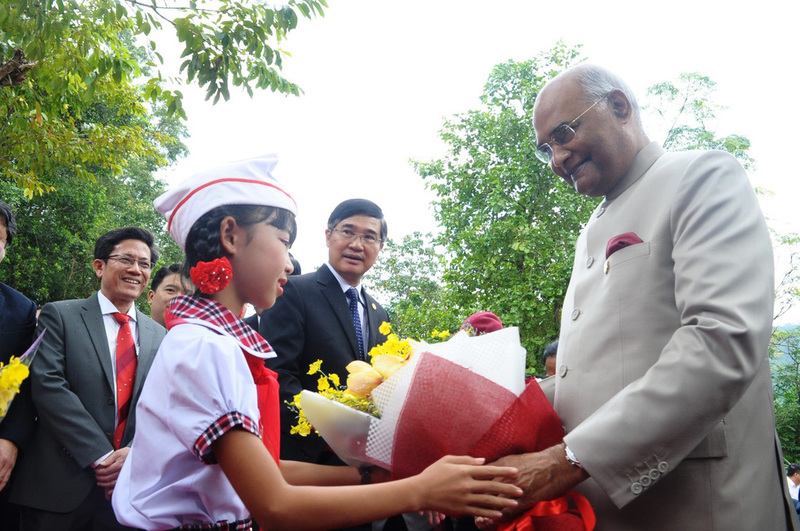 A welcome ceremony was held for Kovind on Tuesday morning, after which he was scheduled to have talks with Party chief and State President Nguyen Phu Trong and other Vietnamese leaders.